While a simple USB charger can handle an iPad or two, what about you need more than that. At CES 2013, iLuv showed off their MultiCharger-X, allowing users to store, charge, and sync up to 10 iPads at the same time. 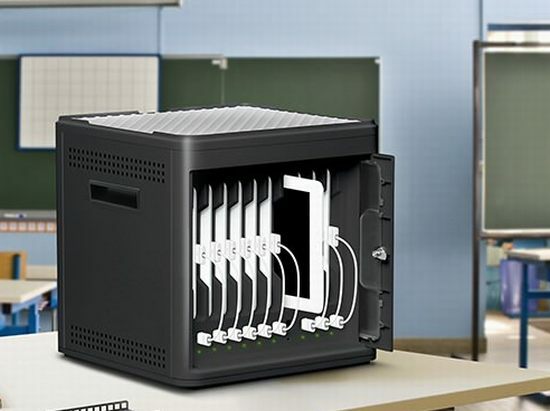 In addition, you can also daisy-chain up to two additional MultiChargers, allowing users to store, charge, and sync up to 30 iPads at the same time. The case has a security door and lock to prevent unauthorized intrusions, LED indicators to know when each iPad is charged, and it is easily transportable.